There are lounge chairs, towels and umbrellas by the pool area. 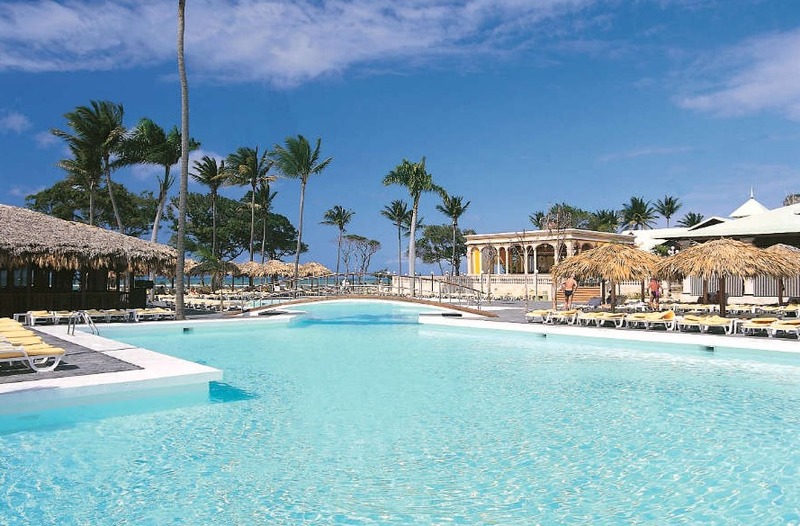 Riu Merengue is an all-inclusive resort located in Puerto Plata in the Dominican Republic. 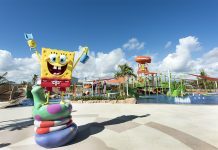 Highlights of the resort include two pools, a variety of buffet and a la carte restaurants, snacks available 24-hours a day, regularly-restocked liquor dispensers in each room, water sports, an introductory scuba lesson in the resort pool, a kids’ club and a disco. 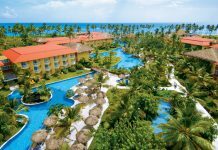 Guests can use amenities at the Riu Bachata, including a casino, located next door. 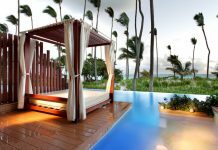 Hotel Riu Merengue is located 35 minutes from Gregorio Luperon International Airport, also known as Puerto Plata Airport (POP). For more information, visit Hotel Riu Merengue’s website.